Are frat stars the new hipsters? Don’t get me wrong… there are a lot of “hipsters” here at Lipscomb University, but you do not have to look too far to find the polar opposite style: “Preppy.” I am not going to generalize, but many of our social club members tend to lean towards the preppy or “fratty” style. Although this is not true for all, it is definitely a connotation that comes with the Greek life. 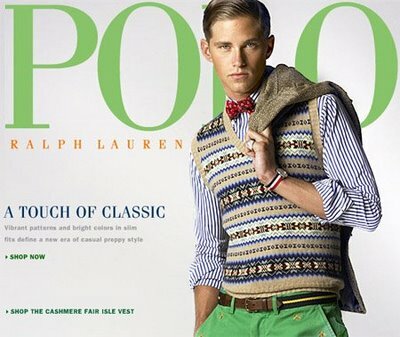 According to Wikipedia, the term preppy derives from the expensive pre-college preparatory or prep schools that upper-middle-class children on the United States’s Northeastern states sometimes attend. Preppy fashion started in the 1950s as the Ivy League style of dress.Hollywood films of the 1980s, such as John Hughes‘ Sixteen Candles, Pretty in Pink and The Breakfast Club, characterized high school preps of the 1980s, who are depicted as a shallow and transparent group primarily concerned with extrinsic things. The three most explicit of these extrinsic desires are often popularity within their own high school, physical appearance, and material possessions. -Most preps wear their mother’s, grandmother’s, or aunt’s old diamond and pearl jewelry, as an “old money” thing. 3.Hair accessories such as headbands (silk/satin scarf headbands or hard headbands with ribbon bows) and grosgrain ribbons in preppy colors, prints, and patterns. 4.Ribbon belts in a variety of preppy prints, patterns, and colors or, especially for guys, black or brown leather belts. 5.Preppy girls wear ballet flats, top-siders (boat shoes), ribbon/canvas flip-flops, Rainbow sandals, and simple leather high heels and wedges in shoes. 6. Preppy guys wear classical loafers, leather moccasins, suede loafers, boat shoes (top-siders) or leather flip-flops. For formal wear, they wear leather dress shoes in black or brown. -Wearing a pair of top-siders without socks is classic preppy. Whether you are into the “preppy” style or not, these tips will at least help you recognize what it is. I personally love this style, although I do not wear a lot of “preppy” clothes. What do you think about this style? Is there a certain stigma that goes along with this style? The sun comes out at LU and so do the shorts!